Like many regions in the middle period and early modern times, East Asia was also characterized by a multi-currency system. Highly developed market regions that already used paper money and silver in international exchanges co-existed with many lower developed regions that maintained barter or commodity currencies. 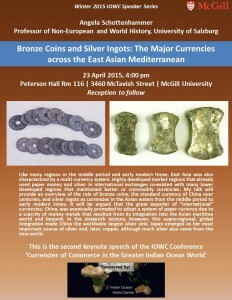 My talk will provide an overview of the role of bronze coins, the standard currency of China over centuries, and silver ingots as currencies in the Asian waters from the middle period to early modern times. 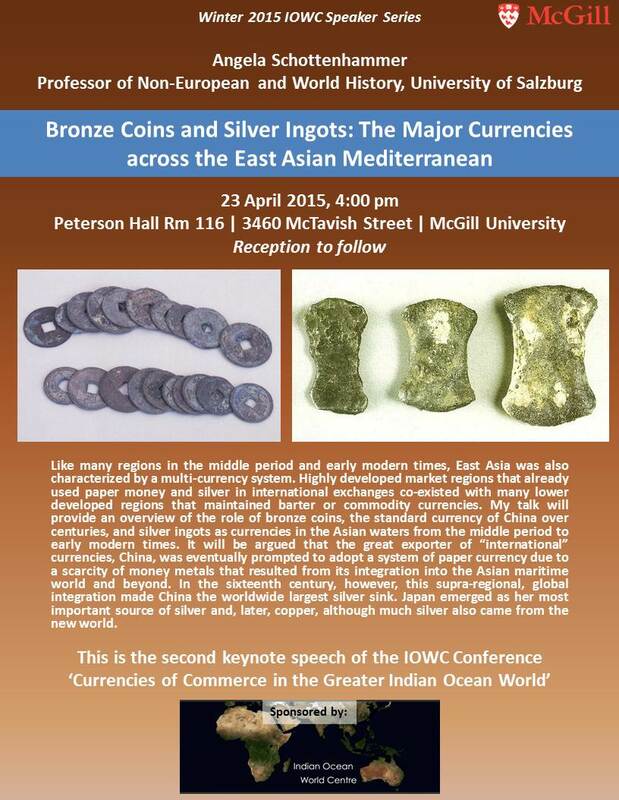 It will be argued that the great exporter of “international” currencies, China, was eventually prompted to adopt a system of paper currency due to a scarcity of money metals that resulted from its integration into the Asian maritime world and beyond. In the sixteenth century, however, this supra-regional, global integration made China the worldwide largest silver sink. Japan emerged as her most important source of silver and, later, copper, although much silver also came from the new world. Dieser Eintrag wurde veröffentlicht in Conferences and Workshops von . Permanenter Link des Eintrags.